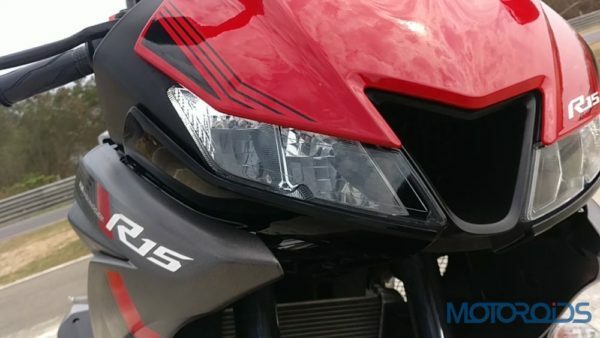 After riding the new Yamaha YZF-R15 V3.0 at the racetrack, we tested the motorcycle to find out if it was equally impressive in the city and on the highways. So, after three days and over 200 kms later, we’re squeezed out all the information that you need to know about the motorcycle. 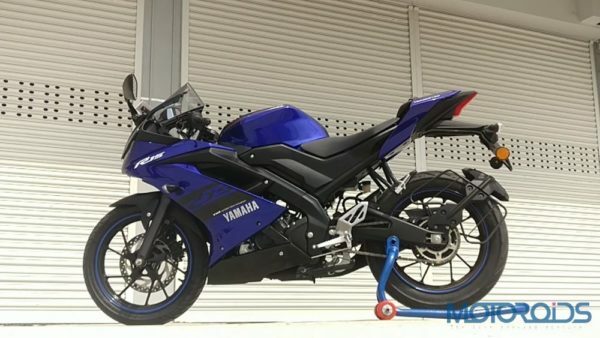 But before you click on the video review, let us give you a quick recap of the new 2018 Yamaha YZF-R15 V3.0. Launched in the Indian market at the 2018 Auto Expo in Delhi, the Yamaha YZF-R15 V3.0 commands a price of INR 125,000, ex-showroom Delhi. For that amount, you get an all-new 155cc, four-stroke, single cylinder, SOHC, liquid cooled engine with Variable Valve Activation (VVA) and Assist and Slipper Clutch. The engine is tuned to deliver 19.3 PS of power and 15 Nm of torque. The VVA technology ensures that the bike does not trade in low and mid-range torque for peak power. Meatier 41mm front fork, as opposed to 33mm unit on the previous bike, although the upside down forks from the Indonesian version have been given a miss.